Die-tryout is an indispensable part of the new mold before injection molding or changes other die production. The good or bad result of the die-tryout will directly affect subsequent production whether smooth. Therefore, the process of tryout must follow reasonable of operation procedures and record tryout process in the useful technical parameters, in order to facilitate mass production of products. 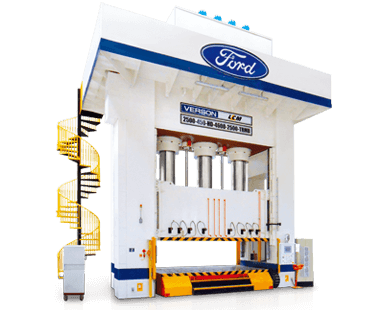 Lien Chieh Machinery (LCM) has been over thirty years experience in the die tryout press, hydraulic die tryout press, hydraulic die tryout press & Tryout press. Our Die Tryout Press has high-speed slide approach; controlled pressing speed and rapid return for fast cycling and production, slide fitted with optical safety curtains and locking devices protect operator safety. Choosing LCM with high quality makes your future investment more secure. We are not only offering die tryout press also offer Hot Forging Press, Forming Press, Metal Forming Press, High Speed Press, and Mechanical Press, if you have any need about press machinery, please contact with our sales to get more information. Application: Die inspection, die mold finishing and limited run production. 1. Slides are fitted with optical and mechanical locking devices for operator safety. 2. Micro-inching system with accuracy between 0.05mm - 1.00mm. 3. Inching positioning display accuracy to 0.01mm.